In Reading, we started “Yonder Mountain,” a story about an aging tribe leader who needs to find a new replacement. He sends three people on a journey into the mountains, and each comes back with something unique to impress their leader. The story allowed us to have meaningful conversations about character development, specifically in terms of what each character’s finding on the mountain said about them as people. 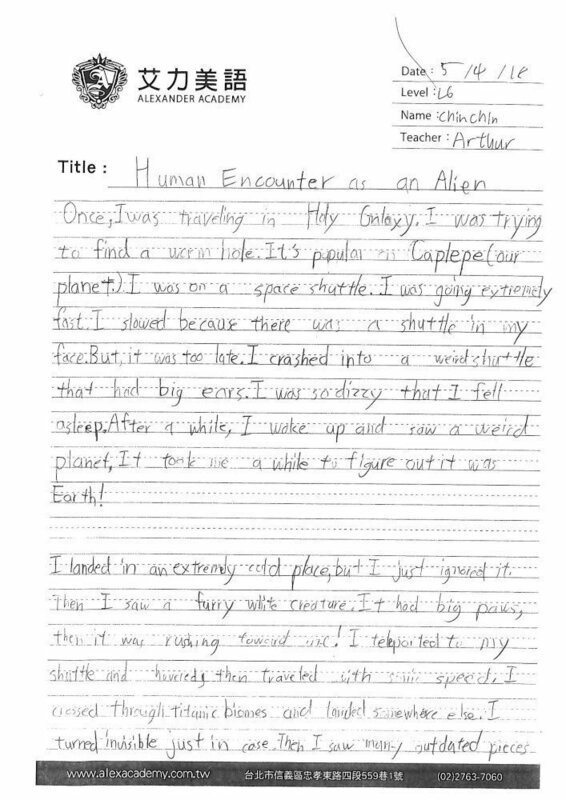 In Science, we delved deeper into space exploration. We looked at the qualities of the inner and outer planets in our solar system. We watched an informative and engaging video that explored the possibility of living on another planet as well as the challenges that come along with it. For our final lesson, we spent time on an interactive website that demonstrates the size and scale of space. Students were able to get a better understanding of how big space is and how far apart planets and stars are from each other. In Social Studies, we started a unit on Economics, acquainting ourselves with economic terminology such as opportunity cost, supply and demand, and budgeting. We put abstract theories like the law of supply and demand into real-world scenarios, discussing, for example, how the price of a popular sneaker might change if there is only a limited supply. In Grammar, we looked at abbreviations and comma usage. We learned that commas indicate a pause in a sentence and are commonly used after introductory words and to separate items in lists of three or more. Just recently we started a lesson on quotation marks, which has helped students to create properly punctuated dialogue in their stories. 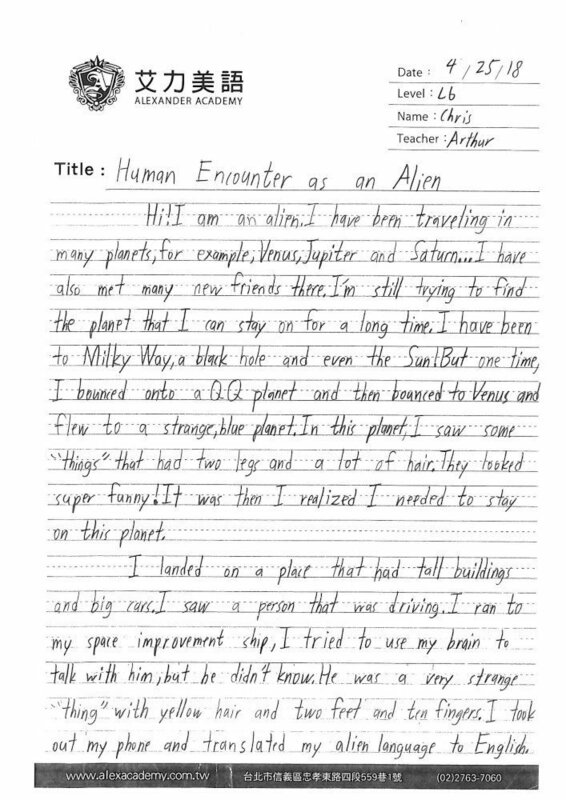 In Writing, we started a new writing project called “Human Encounter as Alien.” Students were tasked to imagine themselves as aliens traveling the galaxy who stumble upon planet Earth. 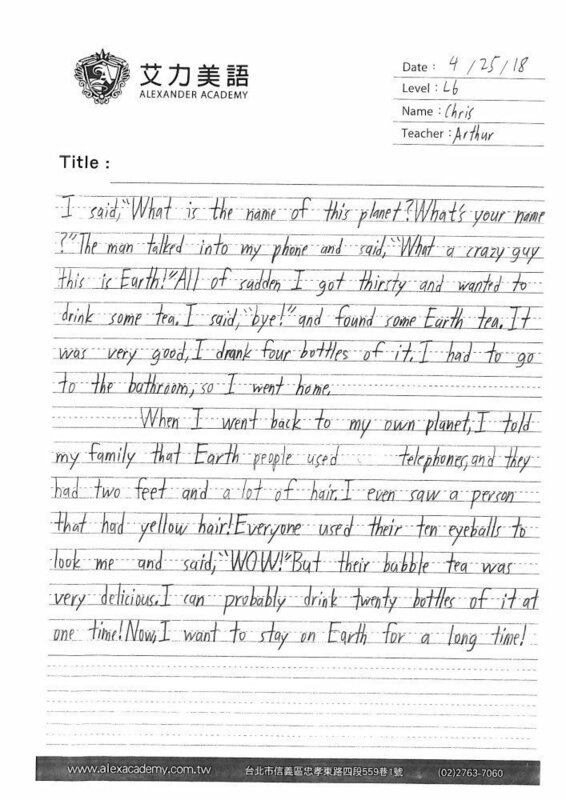 They had to ask themselves fundamental questions about their stories such as: How did I come across Earth? Was it an accident? Was I looking for Earth? Where on Earth did I land? What made humans look ‘weird’ from an alien perspective? How were they different from me? 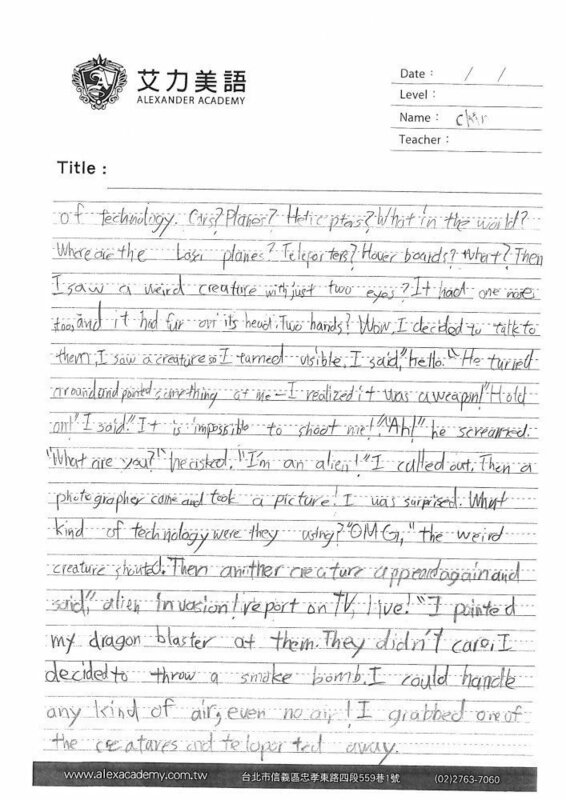 The target goal was to encourage students to write vivid encounters with humans using great detail. They were encouraged to push their creativity, while also understanding that their stories had to be grounded and follow a logical structure. Overall, the students have been maintaining a positive attitude and giving their best efforts throughout our classes. I’m extremely proud of them and I look forward to continued success in May.